So, you’re looking for a Hamilton Safecracker ? 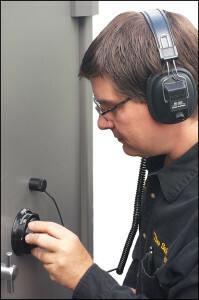 We’ve got Certified Master Safecrackers ready to serve you in the Hamilton-Wentworth and surrounding areas! Originally, Stubb Safe & Vault was based out of Hamilton, ON. In fact, the owner of Stubb Safe & Vault, Kyle Stubbins, worked for Mayday Lock & Safe, also started in Hamilton, from 1989 through 1999 when he purchased Mayday Lock & Safe and the name changed to Stubb Safe & Vault as our primary focus shifted to the safe & vault industry. Due to demand, our primary service area also shifted towards the Greater Toronto Area (GTA) during this time. We continued to operate our offices out of Hamilton up until 2011 when we moved our offices to Barrie, ON. 0.1 Do we still offer service to the Hamilton area? 0.2 Does it cost more to come to Hamilton? Do we still offer service to the Hamilton area? Of course! Not only do we service Hamilton, but also Ancaster, Dundas, Waterdown, Stoney Creek & Binbrook to name a few! Does it cost more to come to Hamilton? Not at all. It doesn’t cost any more in Hamilton than it does anywhere else we service. We are a service based company and are not locked down to one geographical area. We regularly have service technicians in the Hamilton area. Looking for a quality safe in the Hamilton-Wentworth area? We recommend the Cashguard and Hunter brand of safes, both of which are manufactured in Hamilton, ON by Canadian Safe Manufacturing. We offer a wide selection of their product line, so we can provide you with exactly what you need! 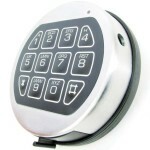 Home burglary safes, commercial burglary, time delayed units, cash handling & dispensing, hunting & gun lockers — or have a safe built to your specifications! 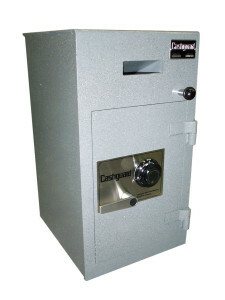 For more information on the Cashguard or Hunter brand of safes, please visit Canadian Safe Manufacturing. For more about our Hamilton Safecracker Services, have a look at our safe services pages, or our contact page if you have questions.